The Air Screamer is a flying creature appearing in Silent Hill. Its appearance is similar to that of a pteranodon but with the usual characteristics of the series manifestations. The creature stands roughly half the weight of a human giving it a quite impressive wingspan. Its name is derived from the high-pitched screeching noises it makes when attacking or attacked. The Night Flutter is its Otherworld variant. An Air Screamer is the second enemy that Harry Mason comes into contact with, as one burst through the cafe window soon after he obtains the Radio. It is seen before it is actually encountered, flapping past the cafe’s window. Air Screamers’ danger lies in their mobility. They attack by biting at Harry and slashing at him with their talons. They’re fairly fragile creatures, although landing a blow with a melee weapon is very difficult. As such, firearms are suggested for shooting them out of the air. To conserve ammo, it’s recommended to flee from these creatures whenever possible. Listen for flapping wings and/or squawking sounds warning of their approach. The Air Screamer is a manifestation of an illustration in one of Alessa Gillespie’s favorite books, The Lost World by Arthur Conan Doyle, which presumably depicted a Pteranodon but the creature also has the torso and legs of a human person. The Bloodsucker is a creature resembling three leeches fused together at the base, which writhes like octopus tentacles. They only appear in two places: Otherworld Alchemilla Hospital and Nowhere. In the hospital it is found in Room 204, sucking at a puddle of blood. It becomes aggressive once Harry Mason approaches it so he must distract it in order to reach the “Plate of Hatter” behind them. This can be done by using the Blood Pack previously found in the storage room. In Nowhere it is the creature living in the fridge in the kitchen; the first door to the right after using the Key of Phaleg. After retrieving the Dagger of Melchior the player has to use the Ring of Contract to fix the chain on the fridge, keeping the creature from breaking out and killing Harry. Unlike the other monsters in the game, Harry cannot kill the Bloodsucker. The Bloodsucker serves as the embodiment of Alessa’s strong aversion to leeches, worms, snakes and other similar entities. The Creeper is a giant insect that moves with great speed and reacts strongly to light. They appear in Silent Hill, Silent Hill 2 and Silent Hill: The Arcade. In Silent Hill 2, they are slightly smaller and have a stronger green tinge to their bodies. In both games they attack Harry Mason or James Sunderland by nipping at their ankles. Their small size and flat bodies make them difficult targets; however, both protagonists can stomp on the creatures in order to kill them. As such, they are fairly easy to dispose of, but they are still quite annoying opponents. 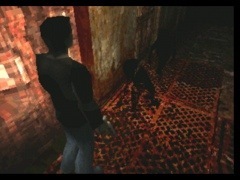 In Silent Hill 2, James is trapped in a room in which he must retrieve flashlight batteries, and after replacing them finds he is trapped with a swarm of Creepers. Killing them is pointless, as they continuously respawn; he must simply guess the combination to the door and walk out. In Silent Hill: The Arcade the boss monster Mama spits out creepers as an attack. They do not do much damage, but can swarm the player and block their view. It would be natural to assume that the symbolism of the Creeper in Silent Hill represented Alessa Gillespie’s fear of insects, though this is unlikely as Alessa kept a butterfly and insect collection in her room. The game version of the Creepers is one of, if not the only, monster that has no deformity / abnormality outside its general appearance, save for its size. This could symbolize that Alessa’s passion for insects help the idea of the Creeper manifest into the world. Other speculations believe the opposite and that the Creeper is Alessa’s fear of insects fighting back in protest to her ‘collection’. At present the general opinion is that the Creeper is linked to a fear of sorts. In Silent Hill 2, it is believed that their symbolism is geared towards a general fear of insects. Due to the fact that they appear in both games, they may be a manifestation of the town itself rather than Alessa’s specific influence. It could also symbolize the amount of power the town currently has due to James’ influence. They could also represent the protagonists, small, like insects, compared to the immense power and fear instilled by the town and its many dangerous creatures. 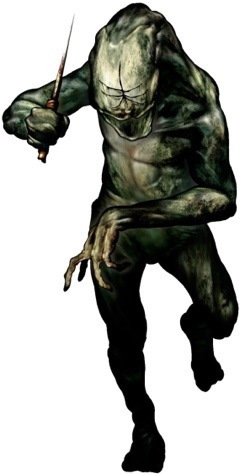 The Floatstinger is a boss enemy from Silent Hill and the mature form of the Twinfeeler, whom Harry Mason previously fights at the Silent Hill Town Center. The Twinfeeler escapes wounded and confronts Harry a second time in its evolved form: the Floatstinger, located atop the roof of the Post Office, across from Alchemilla Hospital. The Floatstinger’s appearance is akin to a ‘macro-moth’, which is a common term used for a ‘giant moth’, (note that the scale of the Floatstinger’s size in game is naturally exaggerated to form the challenge.) Although it can’t be directly linked to any discernible species it does bare close resemblance to a variation of the Bombyx Silk moth, otherwise known as the Bombyx Mori moth. This would be due to its large, heavy abdomen, comb-like antennae and similar appearance. The Bombyx Silk worm, (Larvae), also resembles the Twinfeeler to an extent, supporting this possible theory. are uncharacteristic of moths. It is usually recommended to attack the Floatstinger at a distance with firearms; though if ammo is scarce, it is possible to attack at close range with the axe, so long as Harry is constantly moving in order to avoid the stinger. Like the Twinfeeler, the Floatstinger’s appearance is reminiscent of the insect specimens hanging on the walls of Alessa Gillespie’s room. Small, like Mumblers, these creatures haunt the schools and alley ways of Silent Hill’s Otherworld. They can walk quickly, and generally attack in pairs or groups of three. They are slender, with long arms and each wields a long knife. As they approach a target, they leap at their victim, grabbing it by the legs and pinning it while they attack and laugh. A ghost form of these monsters, called Stalkers, later appear in Nowhere. Unlike the non-aggressive Larval Stalker, these ghost forms are just as deadly as their grotesque counterpart. The Grey Children are the first creatures to be encountered in the town by Harry Mason. After a transition into the Otherworld, Harry is cornered and overcome by Grey Children in an alley, but wakes up at the Cafe 5to2 diner, apparently rescued by officer Cybil Bennett. Grey Children reappear prominently later on in Midwich Elementary School. Grey Children are the distorted, disturbed perception of Alessa Gillespie’s classmates as seen through her eyes, from the torment and ridicule they abused her with. 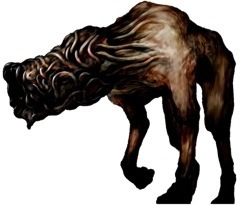 The Groaner is a dog-like monster from Silent Hill. Groaners appear as hairless, demonic dogs with rotten brown skin and a very large set of jaws. They are also morbidly thin, making them appear starving or even dead as a result. One of the more common enemies of the game, they are sensitive to sound and will react to a gunshot or Harry Mason running nearby. They only appear in outdoor areas where Harry is trying to move to a different building, and are easily avoided if precautions are taken. 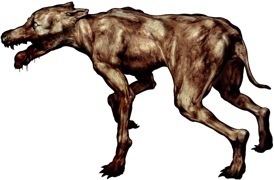 Groaners are not to be confused with other Dogs in the Silent Hill universe, such as the Sniffer Dogs and Feral that appear in Silent Hill 4: The Room and Silent Hill: Homecoming respectively. Groaners attack Harry on sight, or as soon as he makes enough noise to draw their attention. They move very rapidly and often sprint circles around their prey, jumping up to deliver a bite or lunging full force at Harry. Due to their small size and agility, hitting them with a melee weapon can be challenging. As a result, firearms are the best method to dispose of them. However, not drawing their attention or avoiding them in the first place is preferable. Listen for panting, and the light tapping of claws on pavement. The image of a large dog, which Alessa Gillespie has a strong dislike of, is the basis for this creature. Alessa was commonly frightened by barking dogs as a child, and grew to fear them in general. 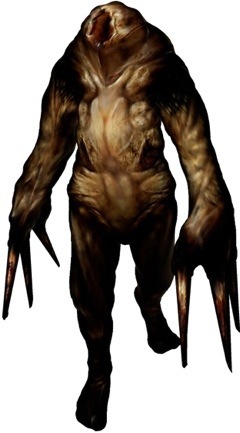 Hanged Scratchers, also called “Sewer Demons” or “Sewer Creatures,” are creatures that dwell beneath the streets of Silent Hill, appearing in the first game. They are known to attack from the ceiling, or below. Due to the excessive darkness within the sewers, and the fact that Harry Mason’s radio doesn’t work underground, this often results in panic and surprise in the player when they are confronted. Fairly slow, Hanged Scratchers compensate for their lack of speed with reach and endurance. They also prove quite diligent in pursuing prey once they’ve caught sight of it. It is best to use the hammer or a firearm on them. 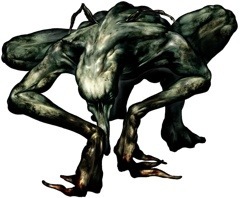 At one point, during Harry’s first visit to the sewers, the player is lured towards a key, which is needed to progress; however upon retrieving it, Harry will be ambushed by three of these creatures, although defeating them is optional. Hanged Scratchers represent the image of a composite of many insect specimens, since Alessa Gillespie (one of the game’s major characters) is interested in studying insects and bugs. They could also represent the way of the Order, sneaking up and abducting Alessa. This could also explain their persistence when pursuing Harry and how when they attack they screech, “LET GO OF ME!”. The Incubator is the final boss in Silent Hill, encountered with the Bad and Bad+ endings. With Alessa Gillespie’s complete once again, the Incubator forms from the God that has matured in her body, creating the image of a beautiful, dark-haired woman. 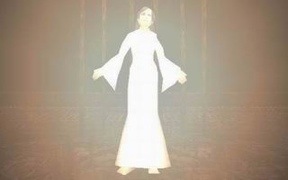 She glows with a heavenly light and wears pristine white robes. She is fought in the mysterious realm of “Nowhere.” If Harry Mason completes an earlier sidequest to save Michael Kaufmann and find a vial of Aglaophotis, the Good or Good+ ending will result: Kaufmann arrives and throws the Aglaophotis on the Incubator, expelling the evil from her body in the form of the Incubus, which Harry will fight instead. If the events of Silent Hill 3 are to be taken into consideration, the Incubator is not the canonical final boss. Despite her heavenly appearance, she is still a monster, just like the Incubus, and after her creation she kills Dahlia Gillespie and attacks Harry. The Incubator fights and behaves almost exactly like Incubus (except for the fact that it takes less damage to kill the Incubator). She floats along the ground in a large room, completely unhindered by gravity. She attacks by firing blasts of heavenly lightning in volleys of three. As she does a large amount of damage, it is advised to keep moving until she stops her volley and then attack with a high-strength firearm. In the Good or Good+ endings, the Incubator reappears after the Incubus’s death. Her aura dims and reveals Alessa, who gives Harry a newborn baby. In the Good ending, she uses her power to save Harry and the baby by freezing the Otherworld as it collapses until Harry and the baby escape, but in the Good+ ending, she saves Harry, the baby and Cybil Bennett. She then dies after the overuse of her powers, and is consumed by flames. The Incubator is Alessa’s mental image of God, which is much more saintly and “pure” in appearance than the Incubus, which also symbolizes Alessa’s ideals. The Incubator also appears to be Alessa, only more adult-like. The Incubator’s death (as Alessa) in the Good and Good+ endings may be also considered similar to the death of the God in the myths of the Order: she died due to overuse of her powers. Incubus is the final boss in Silent Hill, encountered during the Good and Good+ endings. This boss can only be battled if the player completes a side quest, that being the task of saving Michael Kaufmann. If Kaufmann is not saved, the Incubator will be fought instead. Due to the events of Silent Hill 3, the Incubus is the canon final boss. When Harry Mason confronts Dahlia Gillespie in the mysterious world known simply as Nowhere, she explains that Cheryl had rejoined with Alessa Gillespie the moment they had entered the town. Soul reunited, the God was able to mature once more and possess the body of Alessa, forming a new being called the Incubator. As Harry steels himself for the final confrontation, Dr. Kaufmann inexplicably arrives, standing beside Harry. Kaufmann soon shoots Dahlia out of anger, and she collapses. Much to her horror, Kaufmann reveals to her a large bottle of liquid, the Aglaophotis. Claiming more to be readily available, he hurls the bottle at the glowing form of the combined girls, where it shatters. As the form collapses in pain, the beast known as Incubus expels itself through the Incubator’s back. Because of the effects of Aglaophotis, the demon has been exorcised. The Incubus, while imperfect, still possesses the ability of flight and the use of deadly lightning. Demonstrating its capability, Dahlia is immediately struck with lightning, killing her. The Incubus continues to rampage but is soundly defeated by Harry Mason. Incubus seems to be based off of Baphomet, a hermaphroditic deity (commonly mistake to be demonic) that the Knights Templar were accused of worshiping before they were disbanded by the Catholic Church. It appears rather feminine, but also has some male characteristics as well. As a means of demonstrating its incompleteness, its abdomen appears to have rotted away, leaving only the spine visible. 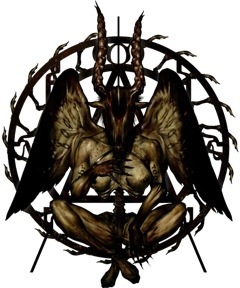 On official artwork, Incubus appears with a metal object shaped into the Seal of Metatron on its back, but this is absent in-game. Incubus attacks with bolts of red lightning which inflicts severe damage and, in some cases, can instantly kill Harry. The Incubus, similar to the Incubator, is completely stationary thoughout the fight, so the only strategy needed to battle it is to dodge its barrage of lightning bolts and relentlessly attack it with your most powerful weapon. A few clips from the hunting rifle will fell the beast in a short amount of time. The Incubus, most likely, is the manifested form of Dahlia’s mental image of the Order’s God. The actual appearance of the Incubus was inspired by the representation of the theological deity Baphomet by Eliphas Lévi, which has been widely associated with the occult. In real-world mythology, an incubus is the male counterpart to a succubus. The incubus is a demon who seduces their human victims as they sleep. 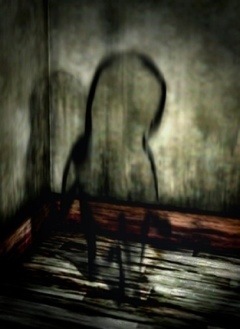 Larval Stalkers are partially visible ghost-like entities in Silent Hill. They are completely harmless and cause the radio to emit static. They will slowly walk around the room and make squeaking noises. Eventually they will disappear. They cannot be killed, although they will stumble and vanish once the flashlight beam is directed at them. As the Larval Stalkers cannot be killed, they were approved for the PAL version (unlike the Grey Children). The Larval Stalker evokes memories of Alessa Gillespie being teased during school. Mumblers are small, grotesque monsters that resemble headless teddy bears that appear in the original Silent Hill. They react strongly to light and make strange growling noises when they notice Harry Mason. They replaced the Grey Child monsters as seen in the original U.S. version, reason being that they looked too much like children and as a result, they were taken out of the European and Japanese installments. Mumblers are small creatures with a giant hole where the face should be. Their name is derived from the sound they make when approaching the player, which sounds like mumbling. Their claws serve as fingers, which can be used to deliver incredibly strong attacks; their method of attack is similar to that of Grey Children, in which they jump onto their victims legs, immobilizing them, while clawing at their legs. Though they move slowly, they make up for it in strength. The image of small menacing animals and small demons from fairy tales that Alessa Gillespie used to read. 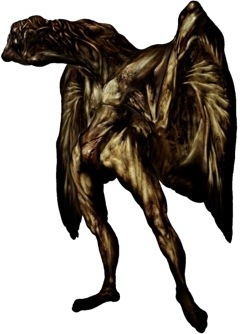 The Night Flutter is an alternate version of the Air Screamer in Silent Hill; its head has been replaced with a solid mass of worms, and its body is more humanoid in shape. They behave much like the Air Screamer does, but it attacks much more viciously and relentlessly than its Fog World counterpart. It can take a fair amount of damage before going down. The main danger of the Night Flutter is its versatility and ability to move much faster than Harry Mason can. Fighting them can be difficult as several ground monsters will also pursue Harry while combating the Night Flutter, meaning that the best thing to do is flee. It is near on impossible to kill it with a melee weapon, so fire-arms are advised, the Shotgun particularly, if enough ammunition is available but the Handgun will work just as well, it will just take longer to take down. The Night Flutter’s worm head may symbolize Alessa Gillespie’s disgust for worms and the like. The worms could also symbolize change and the particularly the change that the Otherworld brings, or deterioration similarly to how ants symbolize deterioration in artwork by Salvador Dali. The Puppet Doctor is a monstrous doctor which appears in Silent Hill. They are possessed by the same unspecified parasite infesting the Puppet Nurses, causing them to also have a similar hunchbacked appearance. They wear standard hospital gear, including a white lab coat and tie. The parasite the doctors are possessed with is the same that possessed Cybil. They appear in a white jacket and a black tie with a lump on their back. They are hunched over like a puppet and attack with knives. They are few and far between in the Otherworld version of Alchemilla Hospital, appearing only on the first floor. The Puppet Doctors make terrible groaning noises and when defeated let out a long sigh. They are stronger than Nurses, but they are also slower. It is best to use the hammer on them. 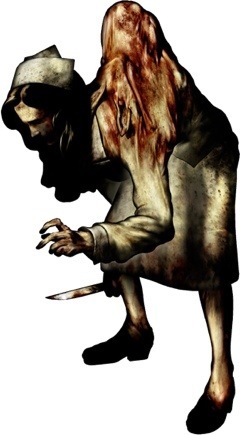 To date, these are the only male medical staff to appear as enemies in the Silent Hill franchise; in the later games, the hospital-based monsters are all female. The parasite infecting the doctors and nurses could possibly represent Alessa’s feeling that the entire hospital was being controlled like puppets under the influence of the cult and the drug White Claudia, which Dr. Kaufmann was supposedly supplying to the hospital. They may also represent Alessa’s hatred of doctors, which was caused by her confinement in her hospital room. Puppet Nurses are monsters found in the first Silent Hill game. They are real nurses that have been possessed. The most distinguishing feature of the Puppet Nurse is the large, slug-like parasite that grows out of their backs, causing them to hunch forward when they walk. The parasite itself is portrayed as a separate living entity, as it can be seen moving independently from the nurse’s movements, and usually dies shortly after its host body dies. The nurses wield scalpels as weapons, and emit a loud moaning noise when killed. They also have a male counterpart, called Puppet Doctors. They can be seen with Blue and Green Attire. The nurses represent Alessa’s fear and hatred of nurses, seeing as they were always around her when she was admitted to Alchemilla Hospital after her serious injuries. Although they weren’t necessarily members themselves, they were acting as puppets of The Order by keeping her alive, further attributing to their name and symbolism of their monstrous forms. The Romper is a powerful apelike monster in Silent Hill that attacks with a body blow and pins down its victim. These monsters leap or “romp” around at high speeds while laughing dementedly, making them hard to avoid. It is best to avoid them. If necessary, the shotgun and the rifle are the best weapons against them. However, given time and patience, the player can take them out with a Handgun. Melee confrontation is very strongly unadvised, as the Romper can simply jump onto Harry before he can get a hit in. The player can also turn the flashlight off and try to sneak behind the romper. A successful surprise attack with the hammer can dispatch a romper in a single hit even on the hard-difficulty level. If Harry Mason is being pursued by them, running in a “zig-zag” like manner back and forth will confuse them and keep them at bay. Running in a straight line will lead to Harry being more likely to be grappled. If Harry is thrust onto the ground and is being attacked, repeatedly tapping the button and wiggling the analog stick will get them off faster and lessen Harry’s damage. The Romper is a manifestation of Alessa Gillespie’s fear of adults and her dislike of people older than her. The Split Head is a creature that Harry Mason encounters within the Otherworld version of Midwich Elementary School in Silent Hill. Upon its defeat, it triggers the shift back to the Fog World. Its weak point, as revealed in the excerpt, is the inside of its mouth, but it won’t expose it at first, only attacking with a powerful headbutt. The player should shoot it with the handgun until it stops and hisses, then wait for the moment the Split Head opens its mouth, then backpedal and shoot away with the shotgun. Two shots from the shotgun, straight into its open mouth, are required to kill it on the Normal difficulty setting (one on Easy and up to six on Hard). If the Split Head manages to close its mouth over Harry, it will swallow him whole, eliciting a game over. Attacking with a melee weapon will result in your death, as the only weapons available in the melee variety at the time are the Pipe and the Knife. Another possible strategy is to run and stop a safe distance from the Split Head, then turn around and shoot as many times a possible before it gets close. Repeating this is a safe way to easily defeat the monster, as you are never within reach of its devastating melee attacks. The incarnation and transfiguration of a great lizard that appears in a fairytale from the elementary school. It is interesting to note that the notes on the reception desk in the school state that at 5:00, “Flames render the silence, awakening the hungry beast.” That and the fact that the noise heard when the player activates the boiler (changing the clock tower to 5:00) is the exact same noise made by the Split Head. This would suggest that whenever Alessa heard the boiler when she was at school, she would imagine it to be the lizard from the fairy tale, causing its subsequent manifestation in her world. The area in which the player fights the Split Head also contains symbolism of Alessa Gillespie; the burning figure in the center representing the live burning of Alessa by her mother, Dahlia Gillespie. Stalkers are creatures appearing in Silent Hill. They are basically the ghostly form of Grey Children: small, child-like, knife-wielding monsters, the sole difference being that Stalkers are “invisible” (vaguely delineated, and as such, hard to see) and their presence is not detected by the radio. They appear to be the matured form of the Larval Stalker, which is just as ghostly and silent, albeit passive in behavior, and otherwise harmless. They are first encountered in the Sewers of Silent Hill, appearing towards the end of Harry Mason’s journey through Silent Hill. They also appear at the Lakeside Amusement Park and certain sections of Nowhere. Stalkers danger lies in their ability to remain unseen and attack Harry in groups. They can be subdued with gunfire from the Handgun, however, if the player takes the time, they can be defeated quite easily with either the Hammer or the Axe. If Harry is cornered, it is best to pull out the Shotgun to finish them before they can inflict serious damage. 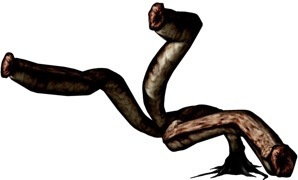 The Twinfeeler is a boss from Silent Hill, and the larva form of the Floatstinger. After an Otherworld transition at the Green Lion Antiques Store, Harry Mason looks for a way to make it to the Resort Area and deviates through the Silent Hill Town Center. When Harry reaches the second floor, he encounters two smaller Twinfeelers feeding on a corpse. However, when Harry attempts to walk towards it the catwalk gives away and Harry falls into the previously unreachable gun shop, which a larger Twinfeeler inhabits. The Twinfeeler is an oversized moth larva, capable of spewing harmful red liquid. This monster can also attack by burrowing itself in the sand and bursting out in an attempt to strike Harry; although, it is possible for the Twinfeeler to damage Harry by simply barging into him. After the Twinfeeler has taken enough damage (its blood is purple-colored), it apparently curls up and dies, but shortly after springs back to life and escapes the arena by crashing through a wall, inadvertently making up Harry’s own escape. Later on, after visiting Alchemilla Hospital, Harry encounters the Twinfeeler in its evolved form, the Floatstinger, a moth-like creature he battles and defeats atop a water tower in front of Alchemilla. Its death brings back a shift to the Fog World. Alessa Gillespie’s had a number of insect specimens in her room, including butterflies and moths. The Twinfeeler’s presence is unlikely to be a result of a fear of insects, but possibly a fear of her insect collection returning to life as a form of ‘retribution’ to the fate they’ve ended with. 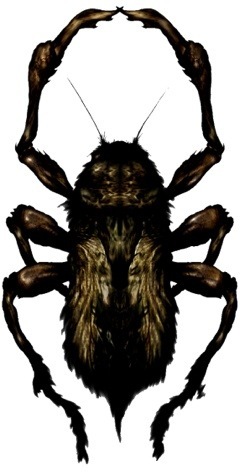 The Twinfeeler, much like the Creeper and Floatstinger, is merely a giant version of the insect itself, with no major difference in appearance; this would suggest that Alessa did not directly fear the bug for what it was. The Wormhead is a dog-like monster in Silent Hill. Its body resembles an average large dog, though its head is completely covered with worms. Wormheads are essentially upgraded versions of the Groaners. 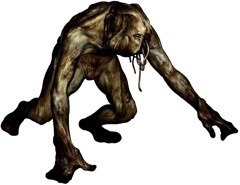 Due to Silent Hill’s corruptible force, the Groaner transforms into a more grotesque and powerful creature. Its head is completely covered in what seems to be a mass of worms (hence the name) and it has gained more mass than its Fog World counterpart. Similar to the appearance of the Night Flutter, Wormheads exhibit the effects of the shift to the Otherworld, showing the deforming power of Alessa Gillespie’s nightmares. They share the same symbolism as the Groaner, being Alessa’s fear of dogs, as well as the Night Flutter’s symbolism of Alessa’s aversion toward, worms, snakes, etc.